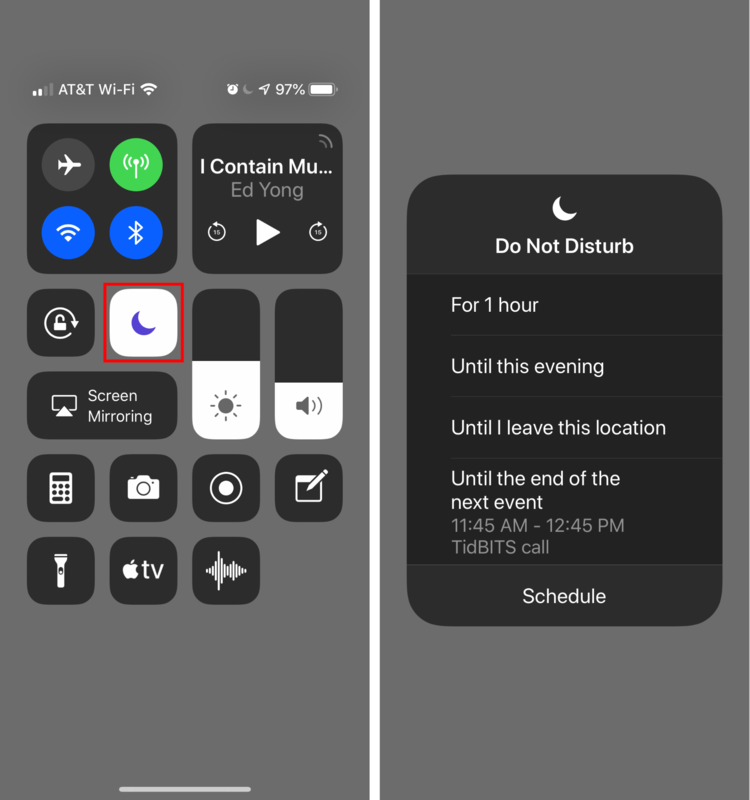 Apple® has “disturbed" its popular Do Not Disturb feature — courtesy of iOS 12 — and we’re all thankful for it. The feature has been widely used since its iOS 6 introduction in 2012. For many iPhone® owners, it’s been essential for keeping notification pings and dings from waking us at night, interrupting us during meetings or spoiling critical movie scenes. However, the knock on Do Not Disturb has always been the need to remember to manually turn it off. Now, with iOS 12, Do Not Disturb has gotten a lot smarter. Apple claims the enhanced functionality is the result of six years of user feedback and pointed wish lists, along with a growing need for users to get more time away from their devices when necessary. Do Not Disturb has been enhanced in two important ways. First, the feature can now disable itself automatically after a certain amount of time or when your location changes. Second, it adds a Bedtime mode that holds all notifications until you wake up or direct it otherwise. 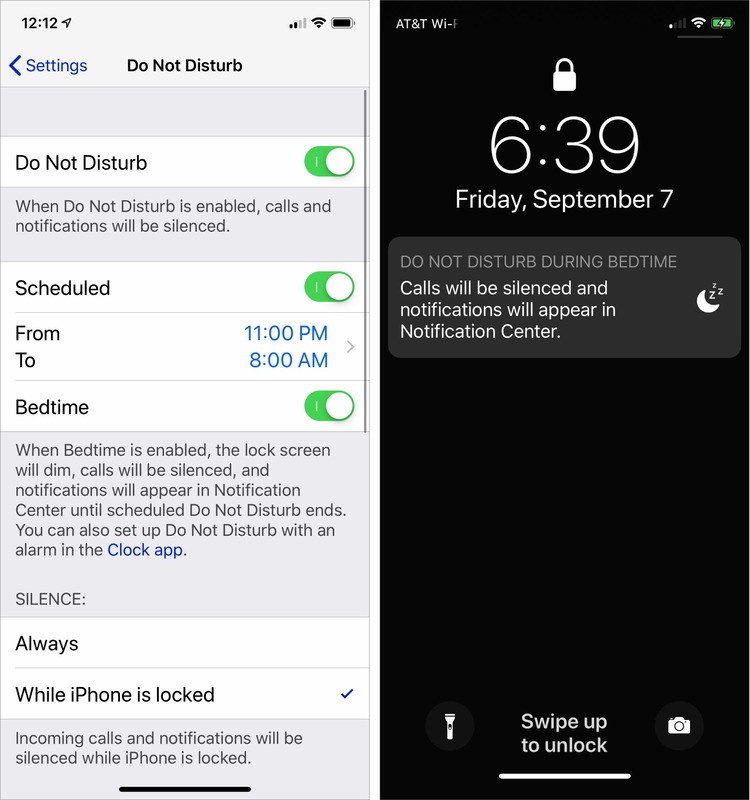 While your Do Not Disturb options in the Settings app are largely the same as before, the new features are housed in Control Center. In previous versions of iOS, you manually invoked Do Not Disturb by tapping its button in Control Center. However, if you forgot to turn it off after a meeting, let’s say, it would remain on forever unless you had a Do Not Disturb schedule set -- and even then, not until the end of that schedule. It might be hours or even days before you realized you had missed calls or messages. For one hour. This first choice tells Do Not Disturb to hold all your calls for an hour, after which it will automatically turn off. Until this evening/tomorrow morning. If you invoke this option during the day, it will silence calls and notifications until 7 pm. Select it at night, however, and it will quiet your iPhone until 7 am. Until I leave this location. Use this choice when you’re invoking Do Not Disturb in conjunction with being in a particular location for a set amount of time. Until the end of the next event. When you enable Do Not Disturb during an event on your calendar, this choice appears and gives you the option of turning it off at the end of the event. Schedule. Tap this button to open Settings > Do Not Disturb. While Do Not Disturb is on, iOS 12 posts a notification on the Lock screen telling you when it will turn itself off. At any time before then, you can tap the Lock screen notification to again allow calls and notifications. Turning on Do Not Disturb at night now prevents notifications and sounds from popping up on your iPhone’s display and sabotaging your sweet dreams. In Settings > Do Not Disturb, you’ll find a new Bedtime switch. When enabled during the times for which you’ve scheduled Do Not Disturb, it dims and blacks out the Lock screen, silences calls and sends all notifications to Notification Center. 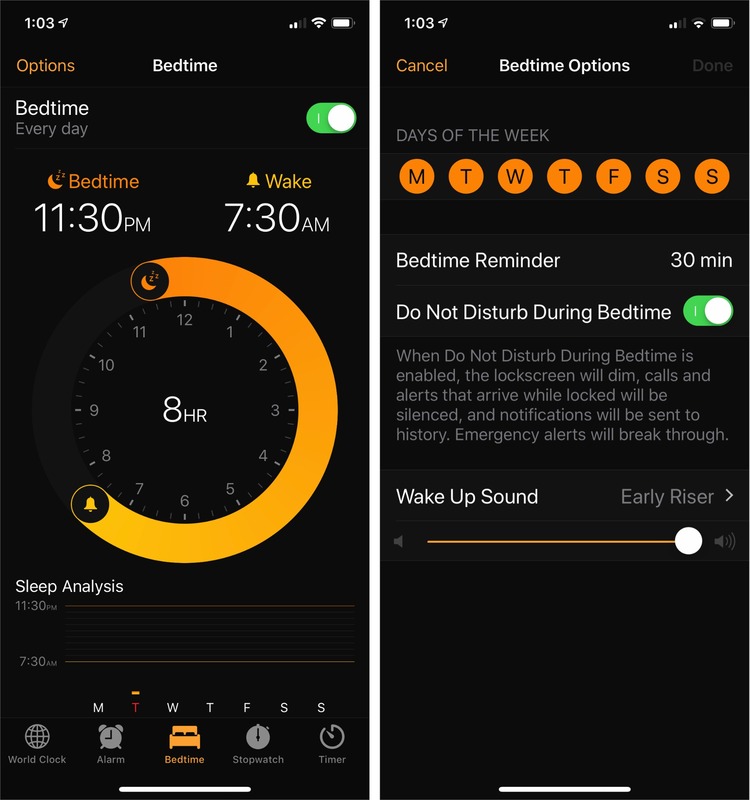 The idea behind the Bedtime switch is to minimize iPhone (and brain) engagement and promote restful sleep. 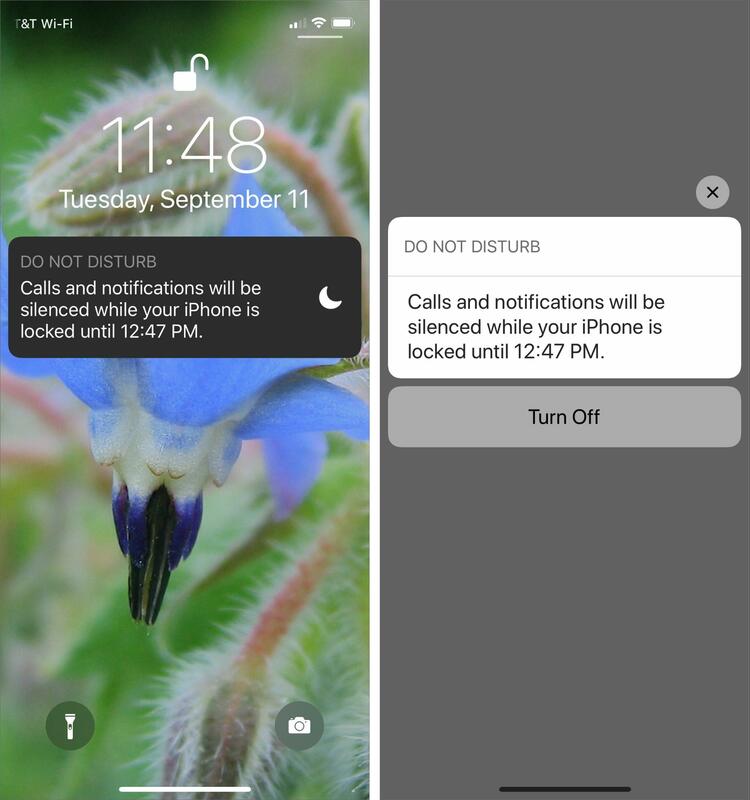 But users always have the option to allow notifications through again by tapping the Do Not Disturb notification on the Lock screen to turn it off. There’s more. You might know there’s a Bedtime screen in the Clock app that’s designed to help you go to bed and wake up at the same time every day. If you use it to set your desired sleep schedule and enable the Do Not Disturb During Bedtime switch in Clock > Bedtime > Options, you get another Do Not Disturb schedule. This can be quite helpful, for instance, if you want Do Not Disturb on automatically both at night when you’re sleeping and also during a regularly scheduled class or meeting. Keeping up? It’s a lot to absorb, so we suggest you test-drive these new Do Not Disturb options as needed until you benefit from their potential. They go a long way toward ensuring that your iPhone fits into your life rather than dictating it.